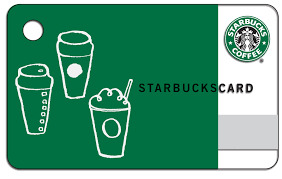 Who wants to win a FREE Starbucks Card? Provide your full name and a valid email address and you are entered into our random drawing for a $25 Starbucks Gift Card. May we suggest Starbucks Christmas Blend Vintage 2016 which has returned for the holiday season, balancing spicy flavors of rare aged Sumatra coffee with the sweet, rich smoothness of Latin American beans. Available in whole bean, ground, Verismo Pods, K-Cup Pods and Starbucks Instant coffee.